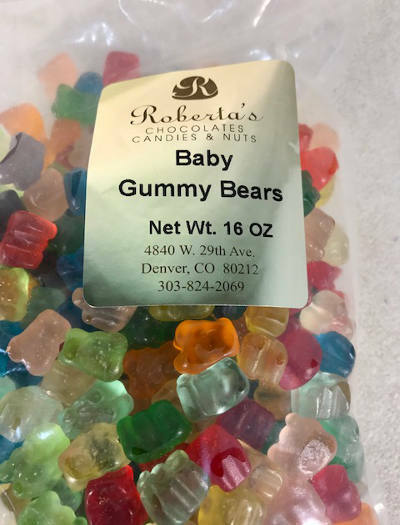 1 pound bag of baby gummy bears from Roberta's Candy in Denver, CO. Copyright Cherry Blossoms North. All Rights Reserved.